Dental Implants Vs. Dentures: Are Implants Worth It? | Benjamin S. Fiss, D.D.S. Dental Implants Vs. Dentures: Are Implants Worth It? The day may come when you are forced to make the difficult decision between dentures and dental implants. For various reasons, at some point in their lives, a significant number of patients find themselves requiring the addition of a denture or an implant, either for part or all of their teeth. Both dentures and dental implants will restore your smile, fill in the section of missing teeth with something that looks natural, and are available in partial or full sizes. However, beyond that, there are not many similarities between dentures and dental implants. Dentures are removable replacements for lost or extracted teeth. While they can be worn throughout the day, even while you eat, they must be removed and put into a cleaning solution every night. Dentures are a cost-effective way to restore your smile and confidence, but they are not for everyone because of the limitations they bring. 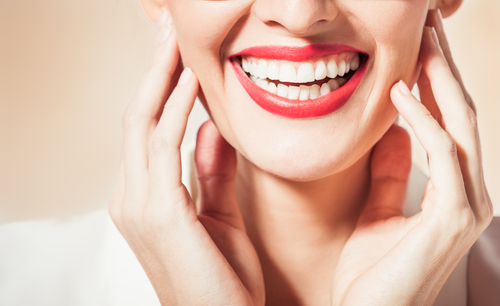 Dental implants are becoming more common and desirable among patients. Unlike removable dentures, dental implants are permanent replacements for lost or removed teeth. Dental implants are put in place with titanium screws that are inserted directly into the bone and hold natural-looking tooth crowns in place. While it is true that implants are more expensive than dentures, the benefits they provide go far beyond cost. Although dentures are designed to look like natural teeth, they sometimes fall short and may end up looking and feeling unnatural. On the other hand, implants feel and function just like a natural tooth; you may even forget that you have implants, as there will be no change in the way that you maintain them or the way they feel. You can continue to eat anything you would if you didn’t have implants. This is an important distinction, as dentures often come with dietary limitations since you cannot put too much strain on the adhesive. The most significant benefit of dental implants, however, is that unlike dentures, implants maintain the integrity and structure of the jawbone. Implants replace the tooth root and trick the jawbone into believing that the root still exists. Dentures, on the other hand, can unfortunately lead to jawbone deterioration and loss of facial structure. Dentures can shift as you speak or eat throughout the day, which leads to an unnatural look and an uncomfortable feel. Additionally, food particles can get caught beneath them, causing irritation and requiring the removal of the dentures to relieve the irritation. Dental implants, however, are maintained in the same way as your natural teeth. Nothing can sneak under a dental implant crown because it is permanently and securely attached to your jaw. Dental implants last for many years, and in some cases, they can last for the rest of your life. The longevity of dentures is nowhere near this. Dentures typically have to be remade or relined every few years to keep them working correctly. Although the savings of dentures may seem desirable at the beginning, you should think about the quality of your smile in the long run. To learn more about dental implants, contact Dr. Fiss by calling (312) 951-5230 to set up a consultation.